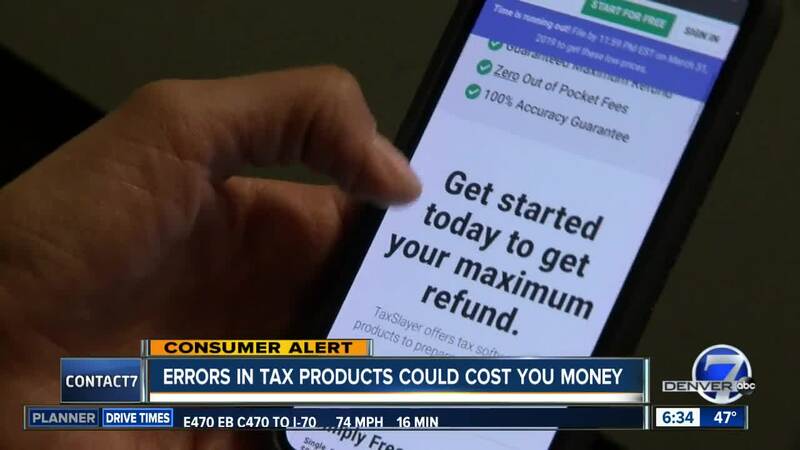 Consumer Reports found several issues with popular online tax prep services like TurboTax, TaxAct, TaxSlayer and H&amp;R Block. If you are among the 41 percent of taxpayers who prepare their own taxes, there's a good chance you use one of the popular online tax prep services. But Consumer Reports looked at TurboTax, TaxAct, TaxSlayer and H&R Block and was unable to recommend any of them without some hesitation. "If you have a complex situation with dependents or a small business, this may be the year to go to a professional instead of doing it yourself," said Consumer Reports Senior Editor Tobie Stanger. Stanger put her own tax information through all four tax prep services. Several had outdated information prior to the new tax law. A number of them also made it difficult to access a new tax credit for caregivers. Two services failed to catch an error when the user entered Medicare withholding data. And TaxSlayer had a glitch with its smartphone app that failed to log out the user, possibly exposing private information to hackers. "The main thing you have to know is check your work carefully, go slowly, watch what they’re asking, look carefully at the information, and if you're not certain, maybe check a second source like the IRS at IRS.gov ," Stanger said. Click here to see Consumer Reports' full investigation.